For about a year now, I have just started creating and selling my own products, Pocket Nursing Guides online. From conception, to execution to marketing, I have relied solely on myself and my 'I-Can-Do-Anything' attitude. I gotta admit that it has been a nerve racking year not only because I was a one woman sweat shop but mainly because I don't really consider myself a sales person. What really fuels me to keep at what I started was that one conscientious decision to no longer be an employee and to prove to myself that I can build a sustainable brand that my family and I will be proud of. And if I had to take my business from a hobby into a company with a few trusted people to back me up, I had to get up and go look for them myself. 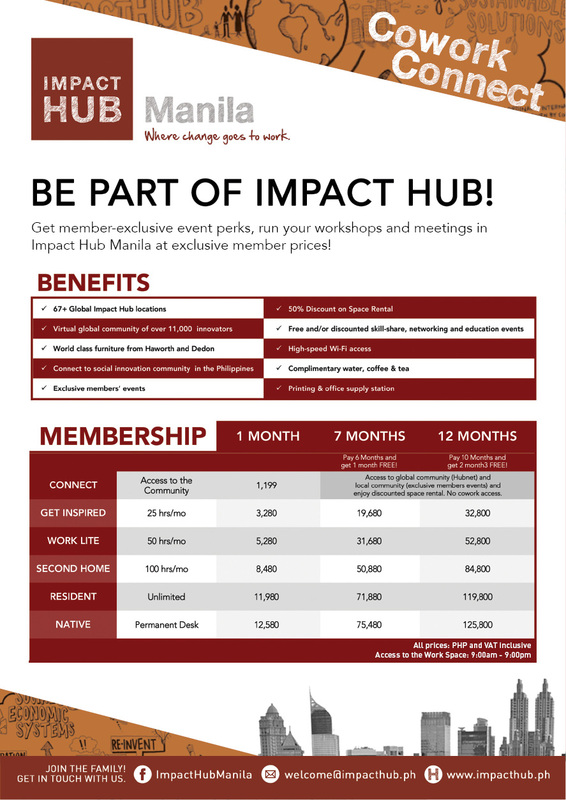 Last week I have been invited for an exclusive Bloggers x Entrepreneurs event, Hublogathon 2015 at ImpactHub Manila and I almost didn't make it again, but thankfully their staff was so accommodating and followed me up on my slot. 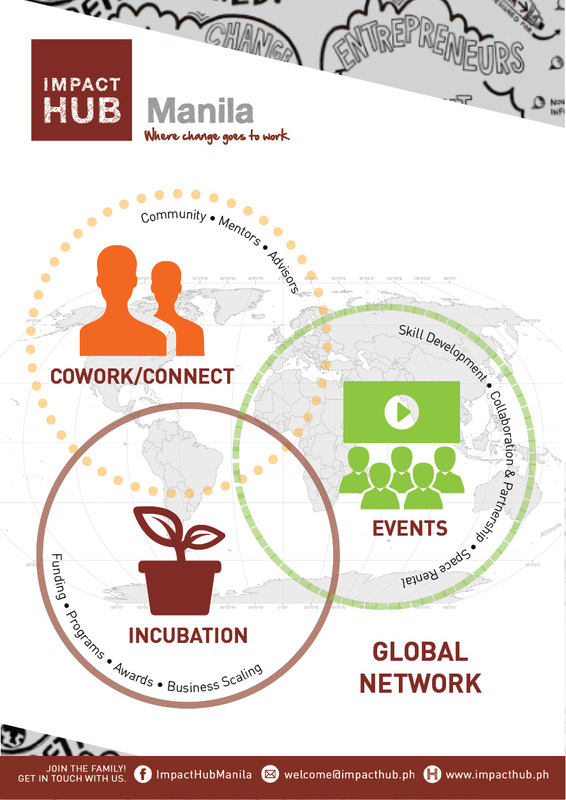 ImpactHub is a great avenue for business-minded individuals looking to improve their business and expand their network. It's a spacious and visually stimulating area designed to connect entrepreneurs and innovators, from various areas of expertise, into collaborative partnerships, all working to create a positive impact in our community. It's hard not to get intimidated as you enter the co-working space because it's jam-packed with all these people talking about ideas, exchanging business cards and basically socializing. Judging from the last social event I attended, I gotta say, this event really meant business. Promotions aside, we got to witness these amazing start up ventures that not only capitalizes on people's needs but also gives back to the community in terms of social programs. It was a great experience, not to mention life-changing for an introvert like me. I was able to meet people, share ideas and not hold back on my sense of confidence. It allowed me to think further outside the box on how I can build my brand better while improving the lives of my community. This kind of mentality has certainly transcended my purpose from building a company that only generates income into a company that creates ripples of change in society. I think this space is a really great hub for millenials who seriously want to ditch the coffee shops that are getting way too crowded and noisy for anything productive to happen. ImpactHub is everything you would want in an area where you discuss ideas and plan business strategies: It is air-conditioned, has a hi-speed wifi, a huge space with different cubicles and tables for different groups of innovators, gorgeous murals and city overview, sufficient power plugs, and best of all, it's an exclusive space so you don't have to worry about random people getting in just to make tambay. ImpactHub is not only a co-working space but a lifestyle. It promotes a culture of innovation and a community of people that help each other achieve goals. If you have an idea and you would want to translate that into a sustainable business that impacts society, don't rely on yourself like I did. Create collaborative partnerships and build a team of like-minded individuals that not only will support you on your purpose but will also give you that extra push to get one step closer to your goals. 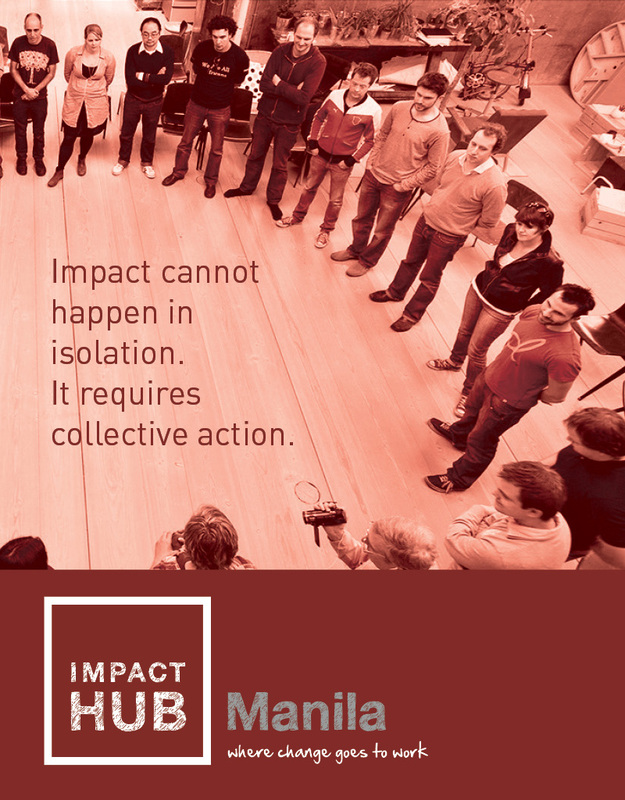 All this is possible at ImpactHub Manila.